Harry Houdini. Criss Angel. David Copperfield. David Blaine. Teller. A deck of 52 rests in my clammy, trembling hands. I stand anxiously behind a heavy curtain — only thing separating myself and my future. Feeling vulnerable due to a lack of preparation, my nerves begin to set in. The lights that previously illuminated a stadium full of what I thought to be thousands of attendees becomes noticeably dimmer. I can feel the slight breeze brushing up my back as the curtains begin to recess. It’s show time. Okay – Remember those five names from the first paragraph? Some fictional, some real. All recognized as some of the greatest magicians of all time. As the curtains drew back and I reposition myself with an X-Games worthy 180, I come to a quick and harsh realization. Impressing this audience with my loosely prepared magic show won’t be happening tonight. It wasn’t the thousands of naïve guests that I had expected. Rather, it was the five best magicians to ever perform the craft that I was intent on perfecting. How can you impress a magician with their own art? The magician analogy draws a direct correlation with the world of sales as we know it today. This especially applies within the sales organization that I live and breathe every day at LevelEleven. Not only am I a millennial sales development rep, but I also have the unique responsibility of selling to other sales leaders — often times, the VP, SVP, EVP and even C-Level executives at very notable companies. Even if those senior job titles seem intimidating, it’s vital for SDRs like myself to remember that they probably started their careers in a role similar to mine. They’ve probably spent years getting cold calls and know all the tricks of the trade. This is why it’s important for SDRs to build real relationships, instead of just trying to sell to leaders who know all of the magician’s tricks. An easy way for these young reps to sell like experts? Establish adult-to-adult relationships. Here’s how. Richard Harris, founder of The Harris Consulting Group, is one of the most highly sought after inside sales leaders, advisors and thought leaders in the industry today. He orchestrates a thought-provoking and highly-educational sales course, which left a lasting impact on my best practices following his visit to our sales organization. As a millennial fairly new to the sales world, one piece impacted me the most: How to establish relationships. Richard emphasized three different personas within this section of his presentation: child, adult and parent. The idea behind transactional analysis is that when two people interact with one another, each takes one of the three personas. Ultimately, everyone should strive to establish an adult-to-adult relationship with their counterpart in order to be achieve success within their role. During my conversations with Richard, he stressed the importance of confidence. This confidence will stem directly from your preparation for the outreach and translate directly through your messaging. Confidence comes from knowing your audience, inside and out. Do research. Dive into LinkedIn profiles, company websites, recent news, earnings reports, etc. Before asking this manager or leader questions, you must earn the right. As opposed to quickly jumping into a bombardment of questions, earn their respect with your preconceived knowledge of their role, company and industry with a quick sentence that means something. Lack of preparation, similar to the magician in my opening example, will immediately revert you to a parent-to-child relationship. If you’re not adequately prepped, the leader will identify that instantly and, especially as a young rep, will be looked at as unknowledgeable and ill-prepared for the call, removing your credibility and impact. This should come as no surprise, but timing plays a huge role in the success of your cold outreach. When you call or email has a significant impact on whether or not people pick up the phone and have a conversation with you or open/respond to your email. From my discussion with Richard, I continued to gather many valuable pieces of advice. – Phone Outreach: Call 1-2 hours prior to the “local start time.” This is typically between 7 and 8:30 a.m. local time. Also, calling between 4 and 6 p.m. local time is a good practice as most meetings are wrapping up for the day. – Email Outreach: Thursday is the best day to send emails. Also, Sunday evenings (local time). Being creative and having fun with your outreach is one thing that I can not emphasize enough for SDRs and, truly, all salespeople. Plain and simple, it works. 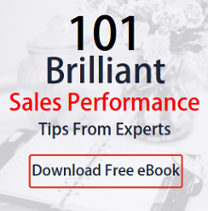 It breaks the mold of a typical sales call or email and will ultimately attract the attention of leaders as they stand out from the 1,000 other sales emails and calls that they get every week. Great example: One of Richard’s favorite outreach examples in recent memory is an email he received from an SDR. The SDR emailed Richard twice to no avail. His emails were decent, spoke to real pains and offered something that was interesting. He closed his third email with a quirky, “Pretty please.” Richard thought it was unique, creative and refreshing. Meeting booked. As a thought leader and seasoned sales leader, Richard has experience firsthand which best practices have the biggest impact. As a millennial, or a sales rep of any age, establishing an adult-to-adult relationship will significantly impact the success of your outreach. Prepare, be brief and impactful with your message, pay attention to timing and be creative. It works. An easy way for young sales development reps to sell like experts? Establish adult-to-adult relationships. Here’s how.